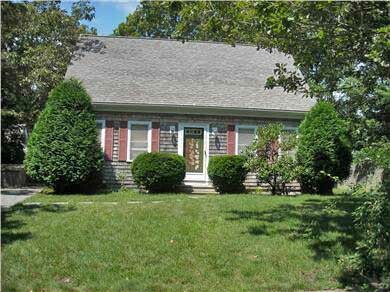 Comfortable, cape style, three bedroom house in a quiet residential setting. The first floor includes the kitchen, dining room, full bathroom and large living/family room with sliding door access to the patio. The second floor includes three bedrooms and a full bath. Cotuit is a lovely, quiet village located on the Nantucket Sound - very convenient to Falmouth, Hyannis and many Cape activities. Loop Beach is a small swimming beach with a lifeguard and roped area for children. 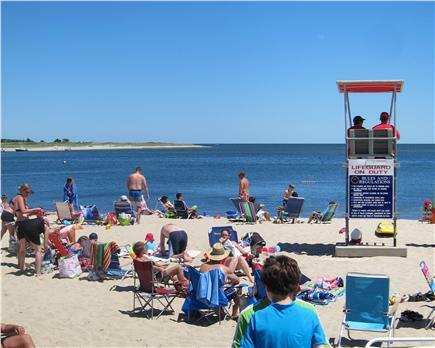 The house is less than a 10 minute walk to Loop Beach and we also provide a beach permit that allows you to park at any Barnstable County Beach - a great amenity for exploring cape beaches! 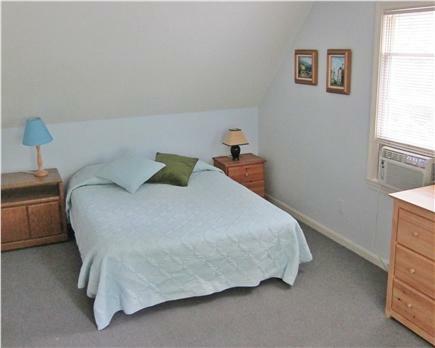 Long-Term Rental (1 month or more): Walk to beach, Cape style house in lovely Cotuit neigborhood sleeps 6 in 3 bedrooms (additional sleep sofa sleeps 2 more). Available from October until May - $3000/month (depending on party size)+ utilities. Fully furnished and linens supplied. 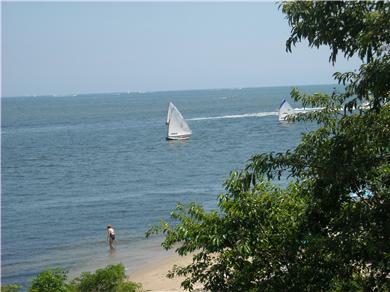 This is a perfect family home in a beautiful cape village on the Nantucket Sound. It's convenient to Falmouth, Osterville and Hyannis. 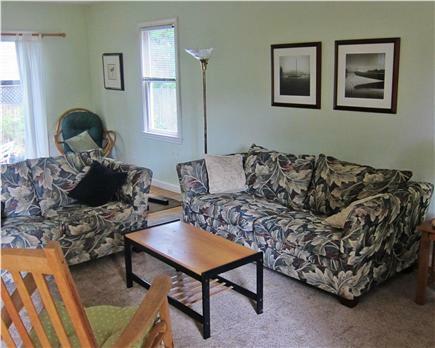 Nice house, quiet location, small walk to beach--everything was exactly as described. Owner was very helpful with our pet! We rented this house for a month. 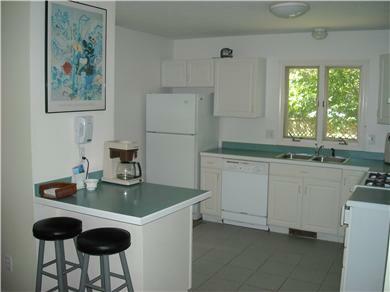 It was in a wonderful neighborhood within walking distance to a few beaches. The utilities (washer and dryer, stove, etc.) worked well. Wifi worked well. Would definitely rent it again! 1. 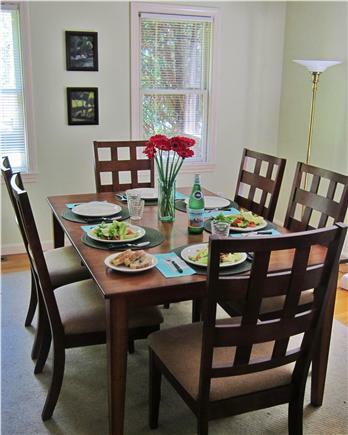 The location is fabulous: walking distance to the beach on a quiet street. 2. The kitchen had everything we needed for our stay. 3. The house was clean when we arrived and sheets and plenty of towels were ready to be used. 4. There was a problem with the washer and the homeowner replaced it promptly. She also covered the cost of the laundry while we waited for the new machine. 5. We had daily contact with the homeowner. Several years ago I met a young man in Toronto, Canada, who in very little time 'sold me' on the village of Cotuit in Cape Cod. He and his family had been vacationing there for generations but because it was so far away from where they lived, they continued to rent vs buying. He told me of this property on Sears Ave (very close, but not too close to the action) where he and his family had been renting most recently and that it was the perfect fit for a family of 5+ who wanted to be walking distance to the center of town, the baseball games, stores, and all the beaches....and with a beach pass for the car should they want to drive to some of the neighboring town beaches.